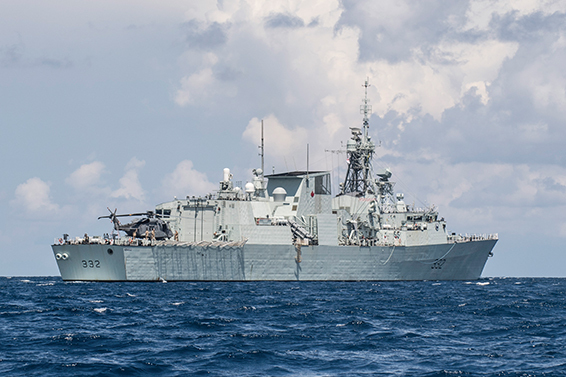 HMCS Ville de Quebec is deployed to the Mediterranean Sea, joining NATO Maritime Group 2. Take, for example, some of the larger of the missions in the past 18 months or so. In July, the government announced that Canada would assume command of the NATO training mission in Iraq. The mission will involve about 250 soldiers stationed in and around Baghdad accompanied by four RCAF Griffon helicopters. A Canadian major-general will command the mission and the headquarters will be staffed largely by Canadians. 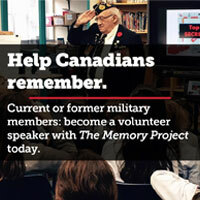 The mission could be expanded to as many as 800 Canadians. About three weeks later came news that a contingent of about 20 Canadian soldiers from 4 Engineer Support Regiment, based in New Brunswick, would also head to Iraq to provide training to the Iraqi army in how to deal with improvised explosive devices. With approximately 450 soldiers from the 2nd Battalion, Royal Canadian Regiment, Canada commands NATO’s Enhanced Forward Presence battle group in Latvia. The battle group consists of troops from Latvia and seven other NATO nations and acts as a tripwire for possible larger NATO deployment in the event that the Russians try to devour Latvia with a conventional attack. This is one of several such brigades that NATO has deployed to former eastern-bloc countries to provide a steadying presence in the face of growing Russian military adventurism. Some 200 Canadian troops are stationed in Ukraine in Operation UNIFER, a training mission for the Ukrainian military. The troops rotate every six months. They have provided training for close to 8,000 Ukrainian soldiers. The operation is co-ordinated by the Multinational Joint Commission, which includes Canada, Ukraine, Britain and the United States. This is not a NATO mission because Ukraine is not a NATO member, but it is part of NATO’s efforts to build up Ukrainian military capability in light of the Russian presence in eastern Ukraine and its support for separatist forces there. Then there is the mission in Mali, Operation PRESENCE, which is the only significant contribution to a United Nations peacekeeping operation, although 250 Canadian soldiers and a handful of helicopters doesn’t mean much in a very dangerous mission that encompasses about 10,000 total military commitments from 57 partner countries, mostly African. Canada is deploying troops there with three Chinook helicopters and five Griffons. We are rotating in to replace a German mission, which withdrew in the summer. Another mission to which Canada is contributing is the deployment of HMCS Ville de Quebec—newly refurbished and carrying Canada’s first operational CH-148 Cyclone helicopter (replacing the ancient Sea Kings)—which will join the Standing NATO Maritime Group 2 in the Mediterranean Sea. So why all these deployments? To hide the military while also being able to claim that although Canada is way below the NATO aim of two per cent of GDP—and never likely to get there—we are doing very important work nonetheless. This way the government does not have to deal with contentious military missions, especially with an election coming up. It can reasonably claim that the Canadian Armed Forces are not standing around with their arms folded—as other NATO nations are. It is a very clever strategy.